OurÂ Tile Abrasion Testing MachineÂ is fabricated as per IS: 1237 and 1706. 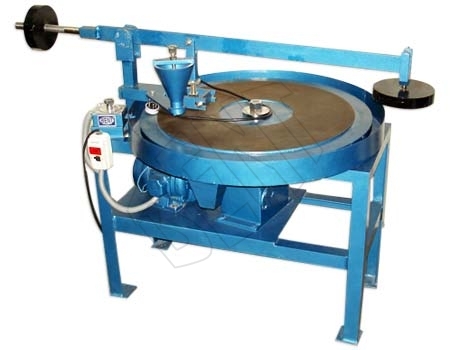 Tile Abrasion Testing Machine offered by us consists of a grinding path fixed to a rotating disc, which is enclosed by a circular tray. Herein, the tile sample is compressed against the grinding path, which is revolving at the rate of 30 Â± 1 revolutions per minute. Tile Abrasion Testing Machine, that we offer, is attached with automatic preset counter to rest the machine after 22 revolutions. As specialists in manufacturing and supplying Tile Abrasion Testing Machine, we are bent on providing our customers 100 percent satisfaction.